The quad slide team poses with their first place medals at the Erg Sprints competition. The team competes indoors in the winter while the river is frozen. 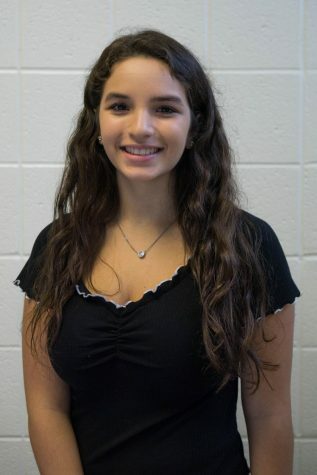 Members of the crew team traveled to T.C. 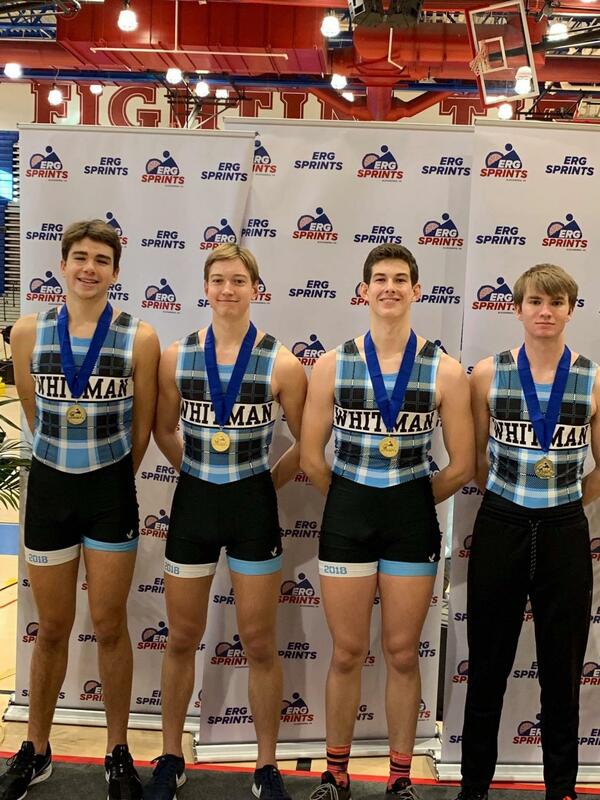 Williams High School in Alexandria, Virginia Saturday to compete at Erg Sprints—the second largest indoor rowing competition in the world. This competition provides rowers with an opportunity to compete indoors while the river is frozen. Participants race on the Concept-2 Indoor Rower, also known as the erg. Members of the crew team competed in individual events and team “slide” events, where the ergs are connected to each other on Concept-2 sliders to simulate the feel of racing in a boat. Sophomore Andrew Audas won the Junior Lightweight Men 2000 Meter, and sophomore Finn Berkhout placed third in the Junior Men 2000 Meter. The Quad slide team—junior Jose Wray and seniors Ethan Waxman, Matthew Proestel and Toby Schecter—won first place in the Junior Men 5 Minute Quad Slide. They beat a quad group from Resilient Rowing Club in Virginia who had multiple athletes committed to top college rowing programs, including Wisconsin and Yale. Jose Wray and Matthew Proestel are members of the Black & White staff.